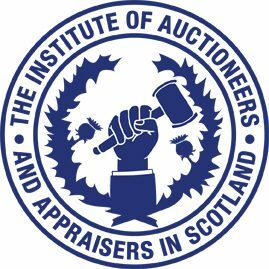 A Past President of the Institute of Auctioneers and Appraisers in Scotland (IAAS) has been given the prestigious Auctioneers Lifetime Achievement Award at the Farmers Guardian Mart’s The Heart Awards 2018. John Thomson Snr who lives in Annan and spent 55 years as a livestock auctioneer with Thomson Roddick has been honoured with the title at the annual awards presented at a ceremony for the British Farming Awards. The Farmers Guardian’s Mart’s the Heart Awards aim to recognise the vital role auctioneers and auction markets play in achieving the best price for vendors, as well as their essential part in bringing the rural community together. Scott Donaldson, IAAS President said: “John Thomson Snr is a hugely respected and well-liked figure within the auction community and we’re delighted his commitment and passion for our industry has been recognised with a lifetime achievement award. “John has dedicated over half a century to furthering the aims of marts and advocating the role livestock auctioneers play in the agricultural industry as key players in the marketing chain from farm to farm and farm to end user. He is extremely well deserving of this award. Other categories in the Mart’s The Heart Awards include Auctioneer of the Year, New Auctioneer of the Year and Auction Cafe of the Year which were won by Russell Steer, Jonty Cliffe and The Market Cafe, Thrapston Mart respectively.